At this year’s London Festival of Architecture, Cloud Architecture proposed two weeks in a pop-up studio at Old Spitalfields Market to investigate how to enhance the appeal of this part of the capital. A new vision for the future of architectural process has been trialled at this year’s London Festival of Architecture. Cloud Architecture were in residence for two weeks in a pop-up studio at the heart of Old Spitalfields Market to investigate how to enhance the appeal of this historic part of the capital. Spitalfields was a fruit and vegetable market for over 300 years before closing in 1986 for redevelopment. The Victorian splendour of its iron and glass roof and red brick buildings have been retained, but they are now dwarfed by undistinguished office developments. Two-storey retail outlets, occupied mainly by chain restaurants, have divided the old market place in two. Clothes, art objects and second-hand books and records have replaced the fresh fruit and veg, but a rather sterile atmosphere prevails on weekdays, despite the huge number of office workers in the area: the City of London is a stone’s throw away. Cloud’s presence on site meant a two-way process was constantly in motion. 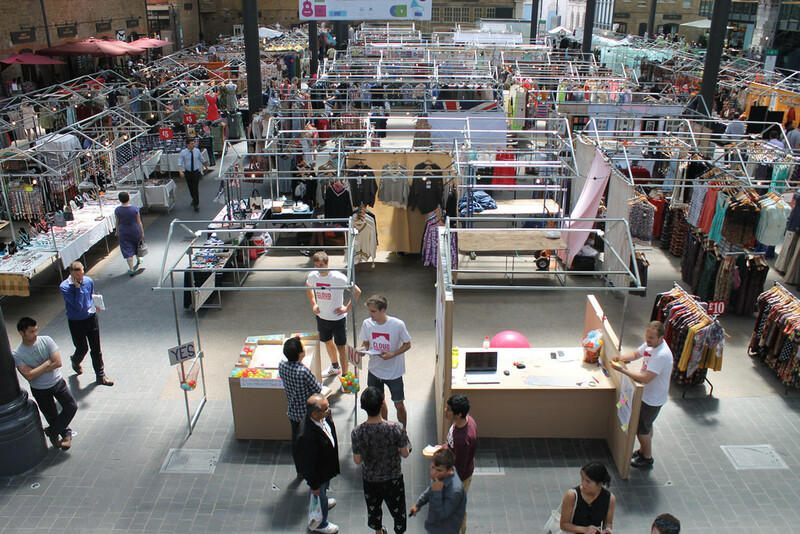 Not only were the Cloud team speaking to visitors, stall holders and market managers and analysing conditions on site – for example, consumer movements, the availability of public seating, and the spatial and functional requirements of stall holders – but their initial findings and proposals were shown to market users for instant feedback: some Bulgarian architects passing by even sketched their own ideas. The researches suggested that the design and layout of the stalls were unpopular, and that there was a lack of facilities to encourage people to linger. Office workers tended to stay on the periphery of the stalls area during breaks. It was first-time visitors who ventured deeper into the market and stayed for longer. After their investigations in the first week, the team did start to miss the traditional architectural office, because some private space was needed to assess the mounting findings and to come up with solutions for a formal presentation. A nearby Google campus was chosen as the location to work out the proposals. 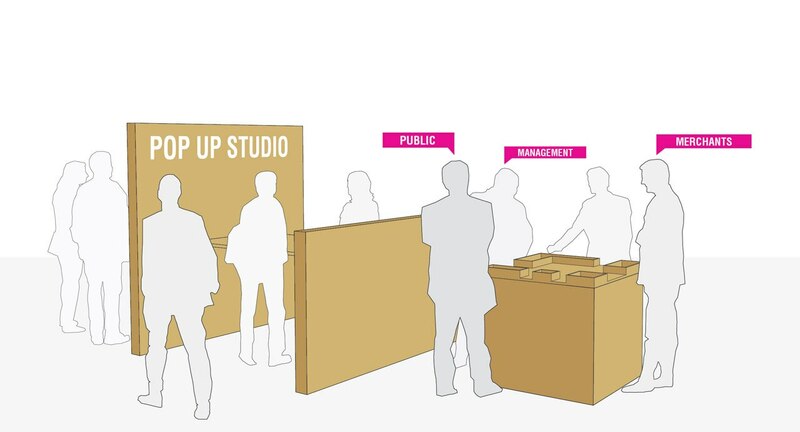 These included a prototype stall that is easily folded up and stored to free up floor space for conferences or public events such as concerts; and a promenade that can be expanded or narrowed, depending on the demand to rent stalls. The promenade is climaxed by a staircase à la Spanish steps and terraces, and filled with “parklets” for eating, working, resting – just watching the world go by. The new layout maximises sightlines to more centrally located stalls, while showing off the impressive roof-supporting stone columns that currently form an obstacle to circulation. The team’s presentation models and drawings were on show for a few days to again gauge the reaction of visitors, traders and managers. The residency ended after two weeks, but could have been continued for longer until final solutions were reached. 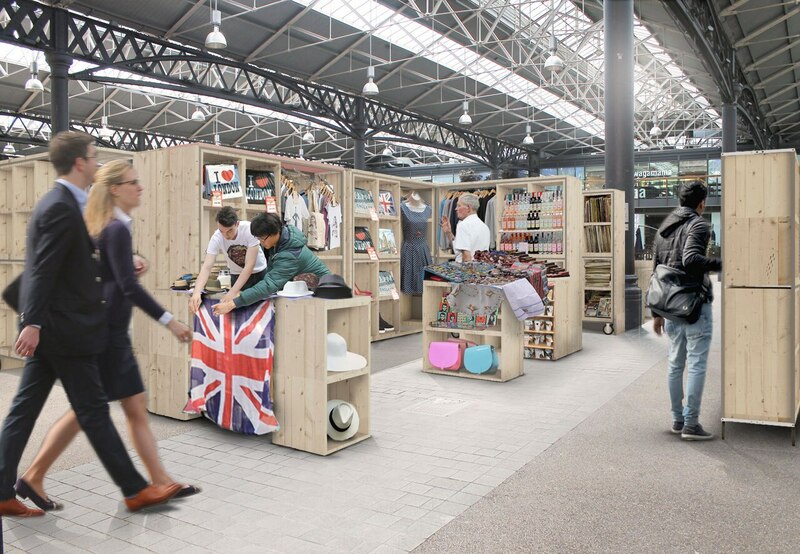 Five Cloud members worked at Spitalfields: Derek Ouyang and Alice Eamsherangkoon from the United States, Janž Omerzu and Domen Stražar from Slovenia and Karolina Ostrowska from Poland. They collaborate remotely and come together periodically to work on a particular site. The practice is potentially open to anyone who can contribute skills to the project at hand: not just architects, but specialists in IT, business management and PR, for example. In that way, Cloud can draw on an immense range of expertise and cultural experience. 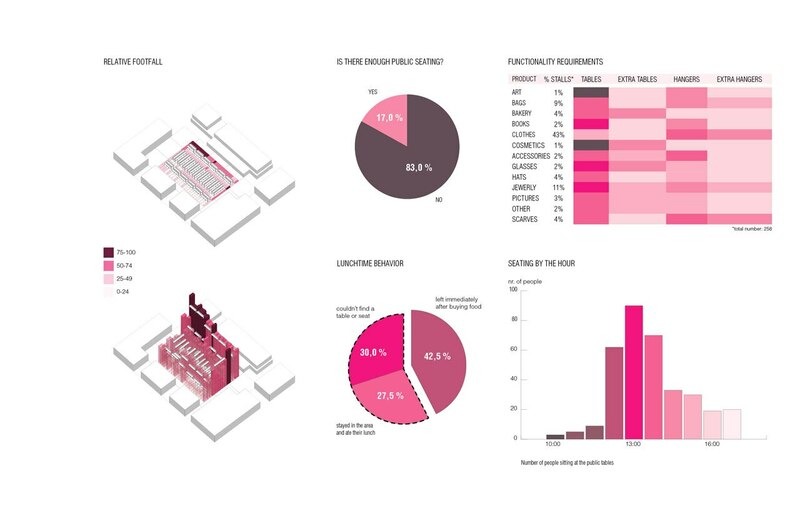 For the Cloud Architecture team, the Spitalfields project, entitled “Made in London”, has proven that going Glocal, as the approach is called, has clear advantages over more orthodox ways of working. “In an office, it feels like architecture school,” Derek Ouyang told me. “Here we have been forced to defend everything and understand how it affects everyone in the community.” Karolina Ostrowska agreed: “It is so valuable to get instant feedback. Hearing the voice of the community is key – it is very underrated.” Alice Eamsherangkoon said close familiarity with the context was crucial: “We had direct engagement for a long period. Through working where you design a space, you get a better understanding of what places mean.” In contrast, traditional architects’ practices seem rather remote and mysterious, and their engagement with the public intermittent. 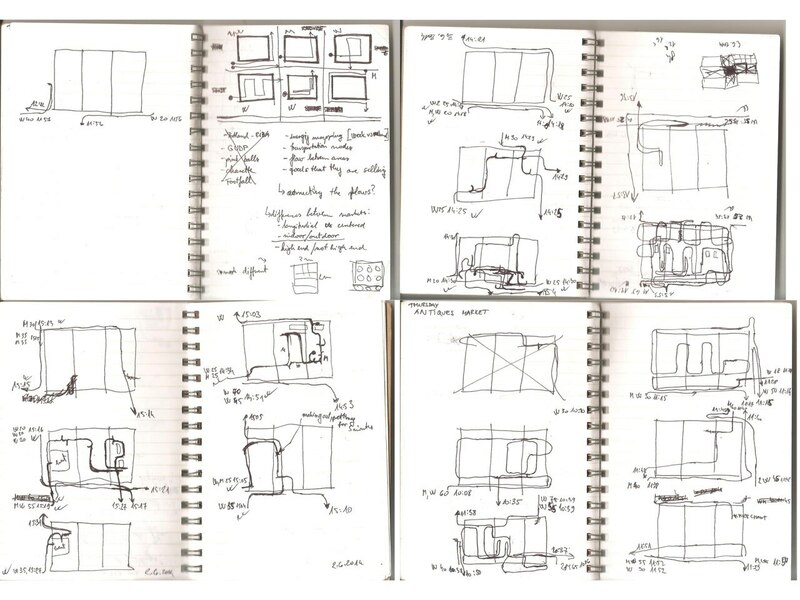 “As part of the London Festival of Architecture, Cloud Architecture is conducting a participation-based research and design project from a pop up studio in Old Spitalfields Market in central London. Running until June 20th, the project aims to engage visitors to the market with the ideas and process of architectural design studios, which members of the public rarely get to experience first-hand. 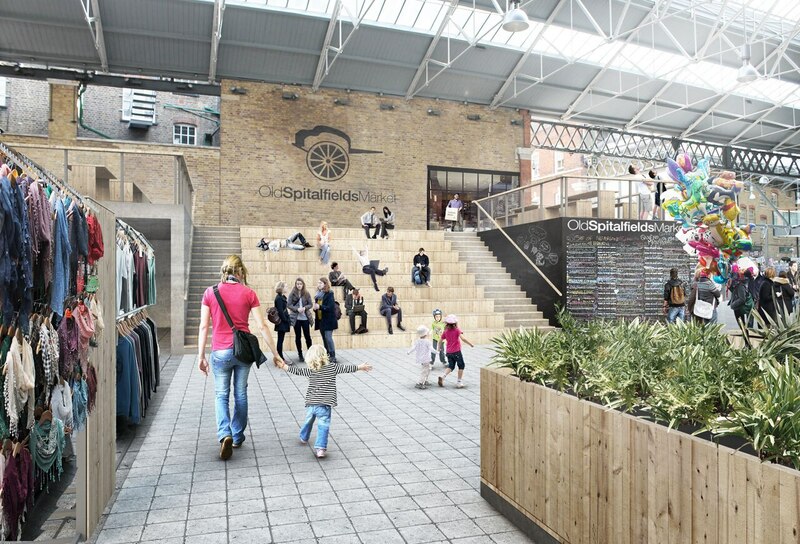 At the same time, visitors to the studio will be encouraged to take part in a project to redesign the Old Spitalfields Market, based on data collected on site and the participatory input and opinions of those who use it.